Cook a gourmet meal with your friends and share it with a glass of wine. Hanging out with friends late at night can be fun and convenient. Whether you want to spend a night out on town, looking for some adventure or just hoping to enjoy a relaxing night together, there are plenty of options to choose from. Accommodate everyone's schedules and avoid crowds by hitting the graveyard shift. Do your research and find restaurants, bars and clubs that stay open late. Plan to start your night by sharing a nice dinner and then heading to a bar or club for a night of dancing and fun. If you are looking for something more low-key, you can catch a late-night show at your local movie theater or comedy club. Check your community calendar to find any late-night local events that might be happening in your area. 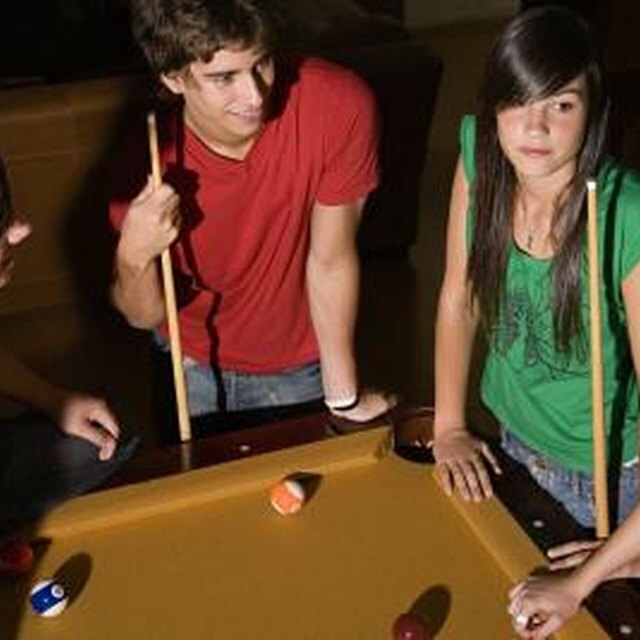 If you're looking for playful and competitive fun, find a bowling alley that offers late-night glow or disco bowling. Another great option is visiting a go-kart or mini golf venue that stays open late. You can also try out a karaoke bar and challenge your friends to a singing competition. Visit a late-night bingo game where you can all win some prizes while enjoying each other's company. If your group is on the sporty side, you can find local basketball, tennis or soccer courts that stay open 24 hours and challenge each other to a game. If your options are limited or you don't want to go to a public place, there are many activities that you can plan to host on your own. Host a party where guests have to arrive dressed up and activities revolve around a theme. You can try themes such as: a murder mystery party, blast from the past or celebrities. Organize a cooking challenge where everyone can cook their signature dish or bring a bottle of wine for a wine tasting. Another great option is to plan a peaceful and relaxing night where everyone can rest after a long work week. Create a spa sanctuary in your home by lighting scented candles, playing relaxing music and having plenty of wine or tea for everyone to drink. You can even hire a masseuse to give out massages or a beautician to do pedicures for everyone. If you want to keep it simple, order takeout and spend an evening chatting and catching up with your friends. Revilla, Lauri. "Things to Do Late at Night With Friends." Synonym, https://classroom.synonym.com/things-late-night-friends-8783.html. Accessed 21 April 2019.